​ While these sessions dare limited to only 1 hour, they are useful tuneups. All thirteen are due by Wednesday, May 9th. This is a hard deadline. No excuses. REALLY!!! 5/14 after the APUSH exam. about the 1970's. It will be due on Monday 4/23. Due for Wednesday 4/11 The 1950's and JFK's Sixties "1000 Days of Camelot"
3) Although I originally called for Ch. 27 & 28 over the break, I'll wait to take Ch. 28 until Wed. 4/11. Due for Tuesday 3/27 WWII and Cold War Test and The 1960's and LBJ's "Great Society"
uncovered when we return. You'd be inviting disaster. sure you turned in everything for which you wanted points. 1) Finish your Chapter 26 Cold War Guide. It will be due on Tuesday. 2) Study for the Cold War and WWII test on Tuesday. These class notes will be very helpful! should look them over and consider how to answer them. 4) Start the Chapter 27 Study Guide on the 1950's. 2) Continue working on the Chapter 26 Study Guide which is due before Tuesday's Test! 1) If you have the time and are intrigued by WWII deaths, watch this award winning short documentary. 2) Continue the Chapter 25 Amsco Guide. It will be due on Wednesday! Your posters are due on Monday, 3/19. Remember, don't let your worries kill you. Let the New Deal help. Come back refreshed. Tests on the Great Depression are very sad. World Wars are even worse. Both await. DISTURBING images. Mr. King and Mr. Vitale are in the soup kitchen line. 3) Complete these two handouts about the Great Depression. #1 #2 Studying these could lead to War. 4) Finish the AMSCO Chapter 23 Guide. It's due TODAY. 2) Continue the AMSCO Chapter 24 study guide and reading. 4) Study for the BIG 1920's and 1930's test on Tuesday, 3/13. 2) Continue work on your chapter 23 AMSCO Guide. It's due next class on Thursday! 2) Begin Ch. 23 AMSCO guide to ensure you understand what you have read. It is due on Wednesday 3/1. 2) Turn in your Ch. 31 WWI study guide from the textbook. Finally. Progressive Era so prepare accordingly. Good Luck. 3) For those going on the field trip next week, complete the following forms and return to Mr. Vitale ASAP. Study Guide will be due on Monday 2/12 for the Progressive Era Test. I hope to finish this video in class but if we don't knock it out here. during this time period.) Answer these questions. Begin work on the Study Guide. (Finish the Study Guide by Thursday 2/8). Although the test for the Progressives will be on Monday (2/12) expect quizzes beforehand. 1) Read the chapter on Imperialism (Ch. 20) and complete ALL of the Imperialism study guide. study guide. The remainder is due on Tuesday, 1/23. 1) Finish this take home test. Its short and it wraps up the Gilded Age! 2) Complete the following handout as a study guide for the Gilded Age Test. 1) Finish reading chapter 17 on the American West, although you may skip the section on the New South. 3) Study the Western materials for a short test today on the American West materials in sections 1 and 3. 4) Happy Holidays... a Winter packet will be posted shortly. 5) Here is a link to the JFK Essay Contest. 1) Begin reading AMSCO chapter 17 on the American West and start this Review packet on the West. Sections 1 up to the NEW SOUTH is due! 1) The war begins Monday. Have your questions, cards and armband on you for the start of the game! Failure to do so means your points will be immediately handed to the Union. Don't be the 1st to fall. If you've lost any of the above, see Mr. Vitale first thing on Monday morning! between 2:45 and 4:20 pm. Appomattox starts after the end of 4th Block! facts, not obscure details nobody would know. Questions will not be accepted if late. Get er' done! 5) We will focus on the Reconstruction ppt today. Know the material! and have your Everything handout. grade and significant extra points will be awarded for original artwork, humor or creativity. 4) We will wrap up the Civil War powerpoint. today -> you should have the Everything handout ready. ​ 1) Continue working on the questions on the Chapter 15 study guide which is due on Wednesday, 12/6. updated for this year's game. Your 20 questions will be due on Wednesday. ​ Each will replace a quiz grade with a 100%. I'd load up now... you never know when you'll need em. remainder is due on Wednesday 12/6. tended to be poor and were often trapped in cities. Interestingly, the Know-Nothings are waiting for both. 1) Finish reading Chapter 14 in your AMSCO text and complete any remaining sections on the guide. or sister, no matter how much fun it is. It's all yours. 1) Study for a brief test on the Antebellum events from the list we discussed in class. 3) Enjoy this 2 minute Key and Peele video on Harriet Tubman. sure you know the Antebellum events on the list for a short test on Tuesday. Due for Monday 11/13 Test due and In-class Presidential Review. Due for Wednesday 11/8 The Age of JACKSON!!! 2) (Optional) Enjoy this short odd video about Jackson, but only if you are ok with a bit harsh language. 3) You voted for a take home test over the 3 day weekend. I will be preparing it shortly! a musical called Bloody Bloody Andrew Jackson. Corrupt Bargain, 10 little Indians and Populism. 2) Watch the Crash Course video about USA's Expansion and complete these questions. If you want to get ahead, do sections 3 & 4 (due Tuesday) and section 5 (due Thursday). the Blue Book or the text chapter. Bad idea as the test on the Critical Period thru 1819 is on Wed, 10/18. video about the War of 1812. Answer the following questions for 10 points of extra credit. drawings which shows you know the content! event leads to the next. 15 mins and answer these questions. documents comparing Alexander Hamilton & Thomas Jefferson. 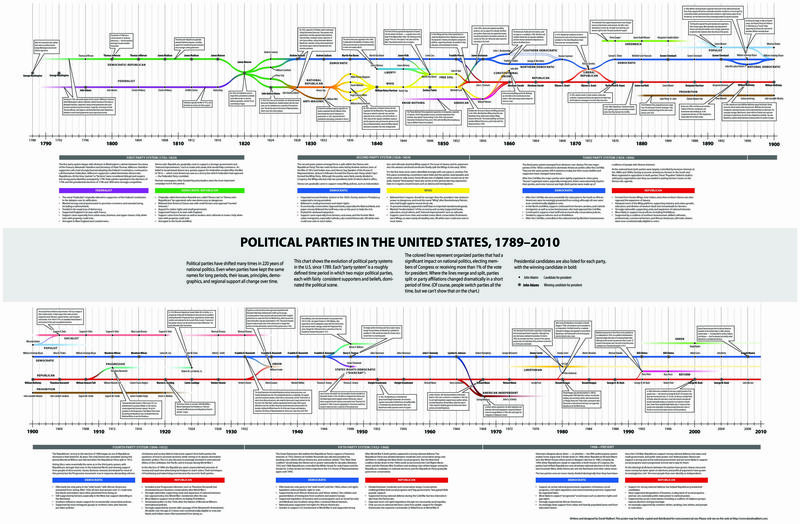 2) Then fill out the chart comparing Federalists to Dem-Republicans. Due for Monday, 10/2 Baby USA and the "Critical Period"
1) Test Scores looked great. Were this the AP test, all but 1 student would have passed with a "3"
or better. I added a small curve and will update grades with the written portion as soon as I'm finished. 2) With the end of the American Revolution, the 13 former colonies must form their government. up to a 2% test bonus for one video, a 5% Bonus for 2 videos and up to 10% Bonus for all 3 video notes. shouldn't be hard... the school is full of aspiring actors) All kidding aside, be careful with yours. your best friend wrote, unless of course your friend is never wrong. Due for Tuesday 9/26 Fireworks and the Birth of Baby USA!!!! not be blank spaces on these notes! appreciate the extra effort you invest in this. And you'll avoid it growing into something fearsome. Due for Wednesday 9/20 - So you want to start a Revolution...? outline material. Highlight it, write notes. If you like it, consider using it for other chapters. week from now on Thursday (9/28) when you take your test. 3) We will use the following notes for the 7 Years War and these notes for the Road to Revolution. can drop by for free pizza and a taste of what's to come this year. 1) Know your early colonial terms on the study guide or PDF version - It will prepare you for today's test. 2) Begin the DBQ worksheet. minutes of incredibly useful info for both the test and the DBQ due on Wednesday. Watch it. reading chapters 1-3 will be based on the reading. 4) Optional (Extra Credit) - Complete the following Colonial Geography handout and avoid Miss SC infamy. Wednesday (9/6). It will help prepare you for the DBQ style of writing we will use frequently this year.